A little while back, I shared a post on our premarital talks, and mentioned I had several other posts lined up on how Mr. Narwhal and I are preparing ourselves for marriage. This time, it's about finances. I actually referenced a lot of other Bee posts on combining finances when we got to this stage ourselves, and I found it really helpful. Specifically Mrs. Clover, Mrs. Wallaby, and Mrs. Blue Whale's posts. So, I'd like to talk about how it went down for us. By sharing this post, I am definitely not giving advice financially, or claiming to be "in the know", I am merely sharing our story of how we have taken on finances as a couple as we prepare for our marriage. By the time we become husband and wife, we'll have been together for three years and living together for two and a half. We've gone through a lot of changes together and we continue to progress as a couple. When we first started living together, we kept things pretty separate still. We were six months into dating and sharing a roof was a big (quick) step. We both felt that it was an important step before marriage, since living together was when you really get to know someone. Having both had previous live-in relationships we immediately felt a huge difference. The transition was smooth, and living together was simple, easy and fun. We actually jokingly referred to this stage of our lives as roommates. We never had an official talk (since we kind of just knew) about becoming a boyfriend and girlfriend, and then jumped into roommates, so we affectionately referred to one another as roomies. We split our inclusive rent down the middle, and everything else was kind of a mish mash. I paid for Internet because Mr. Narwhal had never had it before (seriously) and I needed it for my job. I usually went grocery shopping, because I was the cook, meal planner and the one with time to shop. Mr. Narwhal tended to cover most other house like expenses and going out, etc. It just kind of worked for us. I already felt like we were a team, and didn't really care about things feeling "equal" or 50-50 when it came to money. We both just got whatever whenever. There were never any "it's your turn" feelings. If I needed Mr. Narwhal to cover groceries, he would, and if he needed me to pick up something for him, I would. 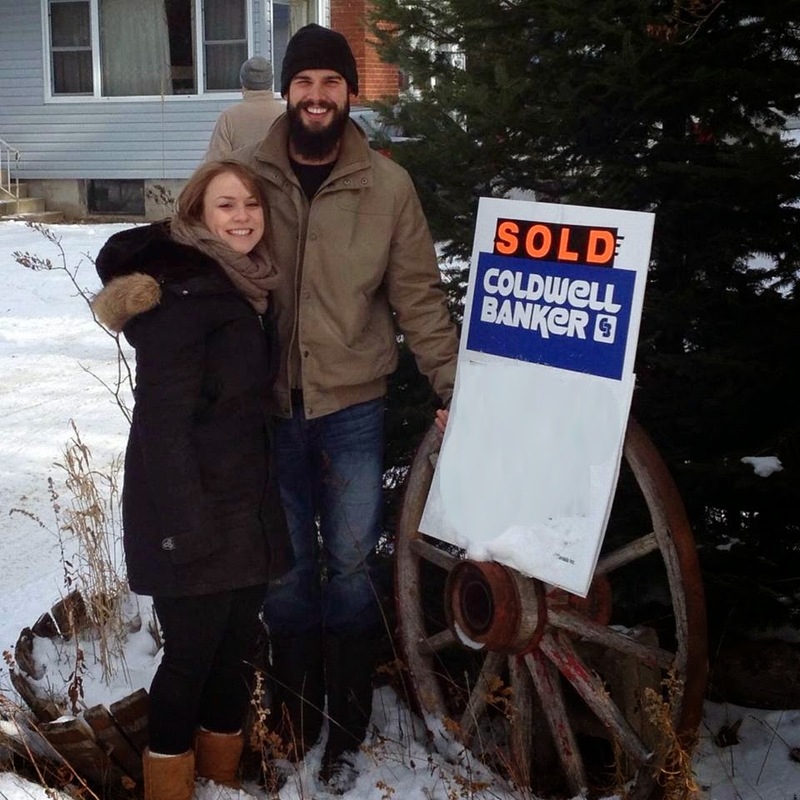 When we bought our house, it kind of happened quickly. With a house came more bills, more responsibility and a lot more organization of finances. This is when we opened our joint checking account. Still, things were fairly separate. We each contributed equally to the mortgage payments, utilities and insurance, but continued our previous method for everything else. I would take care of paying the bills, and gave Mr. Narwhal a number (50% of the mortgage and bills) each month of what he needed to transfer into our joint account. I am the organizer and planner in the relationship, so I happily took on the role, but was also looking forward to the ease of us working from one pool of money versus figuring out what we each had to put into the account each month. This very well could have been an ideal time to combine, but I wanted to wait until we were engaged to move to that place. When we got engaged, we knew this was the stage of our relationship where we wanted to work towards combining finances. We didn't rush into it, and actually didn't end up taking the leap until a few months later when we got our car together (we traded my older car in). Mr. Narwhal got rid of his car when we first moved in together, and since I work from home and Mr. Narwhal gets picked up for work, being a one car family has worked well for us. Before our first payment, we knew it was time to get the ball rolling on combining our finances. Things worked out pretty smoothly in this department and in hind sight, I think we definitely could have done it sooner. First of all, I think things went smoothly for us process-wise because we both banked at the same bank and already had a joint account for our mortgage. The joint account at this point wasn't connected to our debit cards, so that was our first step. This guys food requires a bit of budgeting! I went into the bank and had our joint account adjusted to have unlimited transactions and linked to my debit card. Mr. Narwhal went into the bank and had the joint account linked to his debit card. Easy peasy. It was really that simple for us, and shifting from his and hers, to ours. Money can cause a lot of strain in a relationship, and so far, we've been really fortunate to be in agreement and working together through both the financial highs and lows (home ownership definitely can bring it's share of surprises!). I can say that overall, combining our finances has been really healthy for our relationship. It was a really simple process for us, and works well for who we are as a couple. We just feel even more like a team, and a family unit. Mr. Narwhal is more than happy that I take on the task of budgeting and paying bills, and I'm happy to have a job. I definitely tend to be the "spender" in the relationship, and combining our income has really helped bring awareness to every purchase, because it's not just about me anymore. We have open and frequent discussions about our status and what's being spent, and ensure that we are on the same page for spending (and saving) goals. It can be a scary step, but, in our case it was just another part of getting ready for our marriage that made us feel even more strongly linked and prepared for the next step. Was joining accounts a smooth process for you? Who handles the finances in your relationship? After note: I initially drafted the majority of this post before the After the Wedding Series on finances began, which I highly recommend reading if you haven't already!